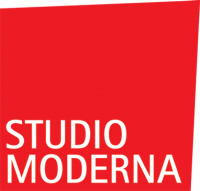 Studio Moderna is the leading electronics and consumer products e-retailer in Central and Eastern Europe doing business through a vertically integrated, multi-channel sales, media, marketing and distribution platform. Founded in Slovenia in 1992, Studio Moderna is now present in 20 countries across the region and sells products through the internet, television and branded retail stores. Studio Moderna has over 100 websites and broadcasts more than 300 hours of programming daily through 300 public and commercial TV stations, including five of its own home shopping channels reaching an audience of 400 million people.